The Twelve Apostles Hotel & Spa stands in glorious isolation between the majestic ocean and soaring peaks, yet only minutes from the city centre. Here guests find an experience of splendid luxury, generous hospitality and holistic wellness in an environment of staggering natural beauty – a tonic for body and soul. 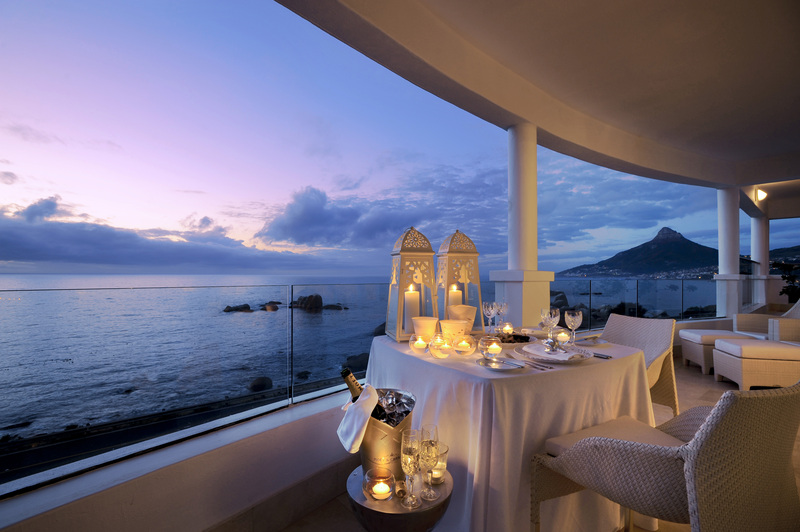 Enjoy world-class service from welcoming and attentive staff at the Twelve Apostles Hotel & Spa. Treat yourself to contemporary Cape cuisine, and unique therapies at The Spa. STAY 4 PAY 3 SPECIAL OFFER: Get your 4th night free when you buy 3 nights, inclusive of breakfast, which features fresh oysters and sparkling wine; a 1-hour session in the temperature controlled plunge pools and saltwater floatation pool at the spa; complimentary scheduled transfers to the V&A Waterfront daily from 08:00 - 21:30. Subject to availability and conditions, and valid for travel until 18 December 2019.